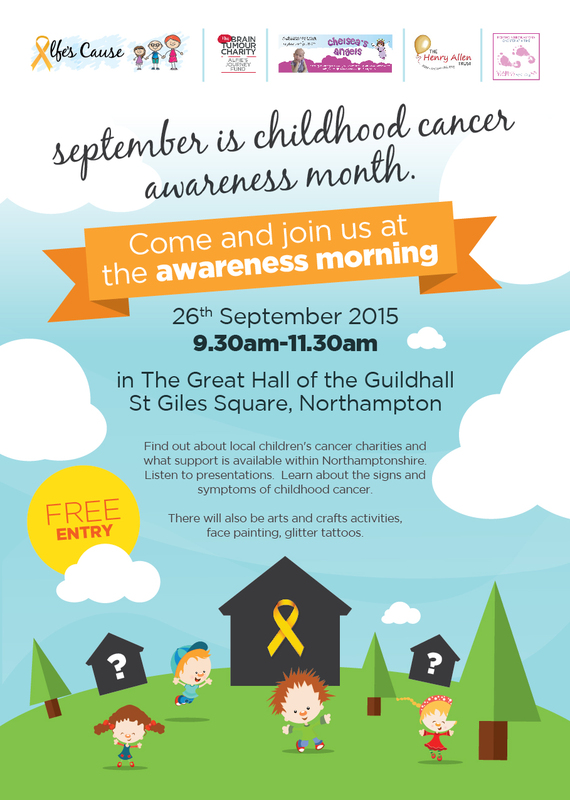 September is childhood cancer awareness month in the UK. To raise awareness in Northamptonshire Alfe’s Cause decided to arrange an event with other local family run children cancer charities (Niamh’s Next Step, The Henry Allen Trust, Alfie Bears Journey Fund and Chelsea’s Angels) to raise awareness and let people know what is available locally should they need support because their child has had a cancer diagnosis. It is a free event and we hope people will come along and support us during the morning.